Jason Tatge has been a driving entrepreneurial force behind many leading internet Ag-Tech companies over the last 15 years. Farmobile is his third startup in Agriculture. His previous company, Farms Technology, created an electronic marketplace where farmers could sell grain on mobile devices in real-time and was purchased by DuPont/Pioneer in December of 2012. Jason’s diverse background in agriculture includes: commodity trading and risk management, mobile technology development, intellectual property creation, automated hedging platform design and most recently hardware design, development and deployment. 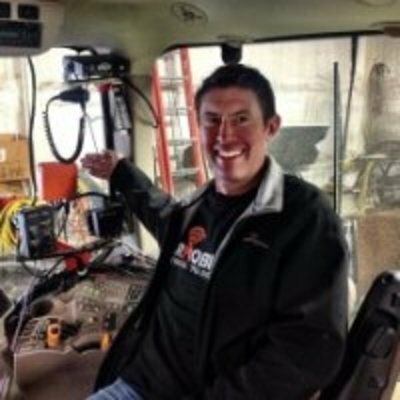 Jason firmly believes that Farmobile customers will gain knowledge more quickly by simplifying and facilitating IoT enabled machine and agronomic data collection, peer-to-peer information sharing with other Farmobile customers and select channel partners. Additionally, Farmobile customers now have the opportunity to monetize their data on the data on the first publicly available data exchange, called the Farmobile DataStore. If a farmer chooses to sell their data, profits are split 50/50 between the farmer and Farmobile thus creating complete customer alignment.